I've been using Seaweed Secrets, Activ8mate and Nature's Soil Wetter for a few months and have seen huge improvements in my buffalo lawn. The grass is greener and denser than ever before. Areas that were hydrophobic now absorb and retain moisture. Damaged areas heal much faster. Neighbours and friends have commented on how lush and healthy the lawn looks, and they're right! These products are economical to use and deliver on every level. Give them a try - you won't be disappointed. 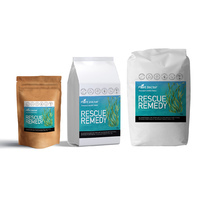 Purchased this Bundle and have just started using these products from Plant Doctor. The Seaweed Secrets, Active8, and Natural soil wetter is absolutely amazing...initially apply all products to my Sir Walter Buffalo, and within 3 to 4 weeks have seen absolutely amazing results, with the Lawn being the Greenest on the street. So dense and healthy. 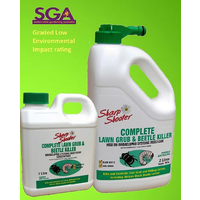 Would highly recommend using these products if you definitely want to see great results in an overall turf care management. Thanks again Plant Doctor! I recently purchased the large value bundle (liquids and granular) and i am extremely happy with the way that the products have improved the condition of my soil and allowed my turf to thrive. 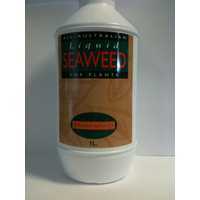 My kikuyu lawn is now thicker, greener and much healthier with the application of the PD products. Thanks PD and look forward to my next order! I’ve been using this bundle for the past 8 weeks and have noticed a considerable improvement in the growth and health of my lawn. Even during the recent extremely hot weather, my lawn is still improving. This combination of products is a winning combo at very affordable rates, especially compared to retain products from your local 'hardware store'.